When the Oklahoma State Trooper came upon the scene on November 13, 1974, it seemed apparent enough that the 28-year-old woman had died in a sleeping-driver accident. There were no other automobiles involved and the pattern of evidence was classic. 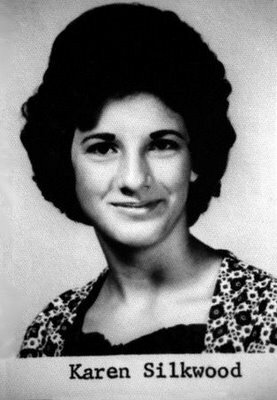 But the facts surrounding the death of Karen Silkwood were suspicious. Her blood contained 0.35 mg / mL of methaqualone (Quaalude), roughly double the level needed to induce drowsiness. While it might have been possible to dismiss the accident as resulting from a young woman in the 1970’s ingesting too much of a common-enough recreational drug, there were too many other contextual factors over the preceding week for such a conclusion to be readily accepted. When she died, Silkwood had been returning from a meeting of the Oil, Chemical, and Atomic Workers’ Union, and was on her way to meet a journalist. It is believed that she had been gathering evidence on behalf of her union to support a claim that her employer — the Kerr-McGee plutonium fuels production plant — was engaging in negligent safety practices. She was by then known as somewhat of a troublemaker. Already earlier that summer, she had testified about improper safety practices at the company to the Atomic Energy Commission. On three distinct occasions during the week before her accident, Silkwood found herself contaminated by plutonium. The incidents required not only that she undergo decontamination procedures but that her apartment and roommate also be subjected to them. Many of her belongings needed to be destroyed during the course of the decontamination procedures. The source of the plutonium contamination remains unclear. Many believe that Silkwood was a victim of retaliation for her whistle-blowing efforts, while others claimed that she had deliberately contaminated herself as part of an orchestrated effort to generate negative publicity for the company. After her death, Silkwood’s father brought an action against the plutonium plant, during which a jury that considered the detailed facts rejected the theory that she had deliberately contaminated herself. Indeed, the jury awarded $505,000 in compensatory damages and $10 million in punitive damages under Oklahoma state law. But that decision was not to be the end of the case. 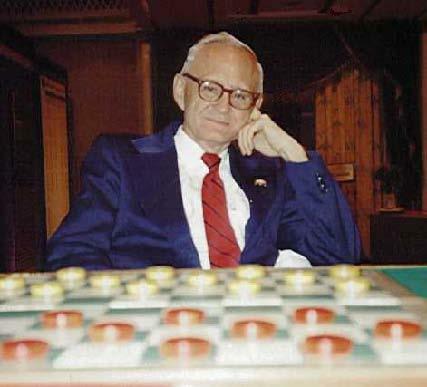 There was an important conflict between federal and state law that ultimately needed to be resolved by the Supreme Court of the United States. Under the federal system of the United States, the Supremacy Clause of the U.S. Constitution requires that “the laws of the United States … shall be the supreme law of the land … anything in the constitutions or laws of any State to the contrary notwithstanding.” Such preemption means that when there is a conflict between federal and state law, the federal law prevails. And in the Silkwood case, there was a relevant provision in the Atomic Energy Act, which had been passed by Congress in 1954. In that act, Congress granted the Nuclear Regulatory Commission (then the Atomic Energy Commission) exclusive authority to set safety standards in the nuclear industry. Barring some minor lapses, Kerr-McGee had generally complied with those federal regulations. When the Court of Appeals for the Tenth Circuit heard the case, it reduced the total award to a mere $5000 (the amount of the property damage when Silkwood’s belongings were destroyed), finding that Oklahoma state tort law had been preempted by the federal Atomic Energy Act. The case illustrates the dramatic consequences that can result from the act of federal preemption in specific areas — a difference in result between $5000 and one well in excess of $10 million. Last week, the Supreme Court of the United States considered another case that turned very much on the issue of federal preemption, but this time in the context of the so-called “Vaccine Court.” A few months ago, I commented on the case here, just before oral arguments were to be heard. Created in 1986 by passage of the National Childhood Vaccine Injury Act, the Vaccine Court has a very limited and specific role: it applies a form of “no fault” system to the adjudication of injuries that result from the administration of vaccines. The court was created in response to vaccine-related tort actions, most particularly in response to use of the diphtheria, tetanus, and pertussis (“DTP”) vaccine, which was being blamed for an increased incidence of certain developmental disorders in children. There was a real concern that the potential tort liability for vaccines was driving vaccine manufacturers from the market, and that this was at odds with the government’s public-health objectives. The creation of the Vaccine Court and a no-fault system of adjudication gave vaccine manufacturers a concession by limiting their liability in a highly predictable way. While the structure of the system was successful in stabilizing the vaccination market, the clear downside is that the no-fault nature of the program may provide insufficient safety incentives to vaccine manufacturers and that some of those who are injured by vaccines are significantly limited in their legal recovery, often limited to recovering awards that are significantly less than their actual damages. Those who suffer the greatest harms would very much like to have access to state tort laws as an avenue for recovering their full damages and it is difficult not to be sympathetic to those innocent children who had reactions to vaccines that significantly impair the quality of their lives. There is an important similarity between regulations of safety practices in the nuclear industry and the administration of the Vaccine Court — in both cases, Congress’s decision to preempt a portion of state tort law potentially has the effect of barring people who suffer from very real injuries from recovering their full damages. In passing this kind of legislation, Congress presumably believes that a broader purpose is served by excluding legal options that would otherwise exist. The task of the Supreme Court when confronted with such cases is, though, to decide the precise scope of what Congress has preempted and whether it is constitutionally permitted to do so. The Supreme Court did ultimately consider the Silkwood case, and reversed the appellate court to reinstate the large damages award. A copy of the court’s decision in Silkwood can be read here. But in the case decided last week, the Court upheld the framework of the Vaccine Court, holding that all design-defect claims against vaccine manufacturers are preempted. A copy of that decision can be read here. Why the difference? The answer is simple— the decisions hinged critically on the statutory language chosen by Congress, with the Court determining that it was Congress’s intention to exclude all avenues of recovery for faulty designs of vaccines except through the Vaccine Court. The question remains, though: Given what we know about the safety issues that exist with vaccines, the effect on public health of having them administered, and the impact on manufacturer behavior resulting from its insulation from state tort liability, is Congress’s choice a wise one or a foolish one? Perhaps you have seen the movie. You know, the one where someone decides to eat only food served over the counter at McDonald’s for a period of time, with a requirement that every item on the McDonald’s menu be tried at least once. The result was astonishing and you may well remember the shock you felt when you saw what happened. Eighteen pounds lost and a drop in cholesterol level of 40 points, as well as reports of feeling “excellent” and “energized” as a result. What’s that? That’s not how you remember the movie turning out? Oh. I know. You’re thinking of that other movie. When Morgan Spurlock released his film Super Size Me in 2004, it followed less than two years after Surgeon General David Satcher issued a warning that obesity was a major threat to life in the United States and called for a “national attack” on obesity. Spurlock’s film recounted an experiment in which he decided to eat only food served by McDonald’s for a period of thirty days. The results shown in the film were dramatic. Spurlock went from a healthy weight of 184 pounds for his 6’2″ frame to a heavy 210 pounds in the thirty days. His total cholesterol increased from a healthy 168 to 230, and he experienced mood swings, lethargy, depression, and sexual dysfunction. The film was nominated for an Academy Award for Documentary feature and as a result was widely seen, grossing some $20 million. But there was also considerable criticism of the film that was less widely publicized. 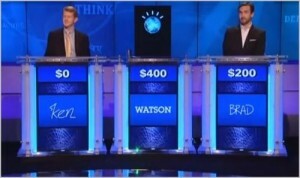 Critics contend that the exercise was unfair because of the quantity of McDonald’s food consumed by Spurlock. It is estimated that his average consumption during the thirty-day period was about 5000 calories. In addition, he limited his physical activity during the period. He explained that he was attempting to imitate the average diet for a regular McDonald’s eater. But neither he nor anyone else ever identified a person who regularly consumes that much food from McDonald’s. 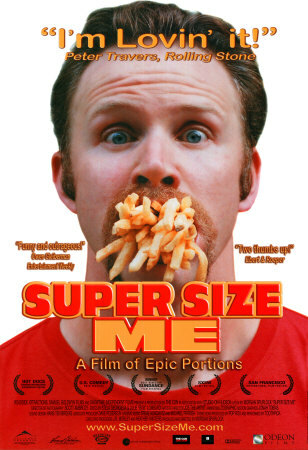 Much of the criticism directed at Super Size Me has appeared in other, less-well-known films. The one referred to at the beginning of this post is Me and Mickey D, which recounts the experience of Soso Whaley, who ate only food from McDonald’s for a period of sixty days — twice as long as Spurlock. By limiting her total caloric intake to somewhere between 1800 and 3000 calories per day and by continuing with an “occasional” exercise regimen, she lost significant weight and reduced her total cholesterol substantially. The point made by Whaley in her film is that what we ingest as individuals is a matter of personal responsibility and that it is too easy to point the finger at producers of certain types of food for the consequences when we choose to eat them. Similar points have been made in other films like Portion Size Me by James Painter, which tracked two individuals who ate only fast food for a month but at consumption levels appropriate for their body types. The prevailing view among nutritionists reflects the conclusions of nutrition science — namely that most fast food is too high in salt, sugar, and saturated fat for it to be a major part of a healthy diet but that it is not unduly harmful to include such food occasionally. Although they have received considerable notoriety, there have, in fact, been relatively few cases brought against fast-food companies seeking compensation for obesity. The most publicized is certainly Pelman v. McDonald’s Corp., which has persisted in litigation for years since it was first filed on August 22, 2002, with the plaintiffs asserting that consumption of McDonald’s products caused them to become overweight and to develop diabetes, coronary heart disease, high blood pressure, and elevated cholesterol. While the complaint filed in 2002 asserted a full palette of legal theories for liability, hoping that at least one of them would stick and result in a legally actionable wrong, the only theories that remain viable are those based on the Consumer Protection Act of New York. The plaintiffs assert that McDonald’s engaged in a number of deceptive practices that misled the plaintiffs into thinking its foods could form part of a healthy and nutritionally beneficial diet. The history of the case is perhaps best summarized in the most recent ruling denying class certification, which can be read here. To me, it strains credulity to think anyone could really believe that McDonald’s products are particularly healthy, and to be so naive as to be deceived by the kinds of assertions that McDonald’s has admittedly made to present its products in the best light possible. “Puffery” — the exaggeration about products made by salesmen — is as old as the concept of sales itself and is not actionable; we are expected to have some basic understanding of the give and take that occurs in sales. Indeed, the phrase caveat emptor has been used for centuries in British and American jurisprudence. Last week, though, a new case was filed involving the Nutella® hazelnut spread. The allegations are essentially familiar. The case is filed as a class action with a class representative who asserts that she was searching for healthy foods to serve her family for breakfast, and relied on advertisements for Nutella® in making her selection. Nutella®, of course, is not a particularly nutritious food, and people can decide for themselves whether having a small amount of it with breakfast is consistent with how they choose to structure their own diets. But the class representative was apparently “shocked to learn that Nutella® was in fact not a ‘healthy’ ‘nutritious’ food but instead was the next best thing to a candy bar” after friends told her what it contained. 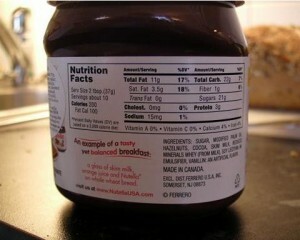 The lawsuit attacks such things as images of mother feeding the spread to “happy, healthy children” and words suggesting that Nutella® can be part of a “tasty yet balanced breakfast” when eaten with whole wheat bread, orange juice, and a glass of skim milk. A copy of the complaint can be read here.